Uncle Pennybags") swung from ropes and did his own "art" all over the room as well!! The end result was a colorful mess that we decided not to clean up because... well...after all, a messy room is something nearly all of us have wanted to just lie in and enjoy at one time or another!!! 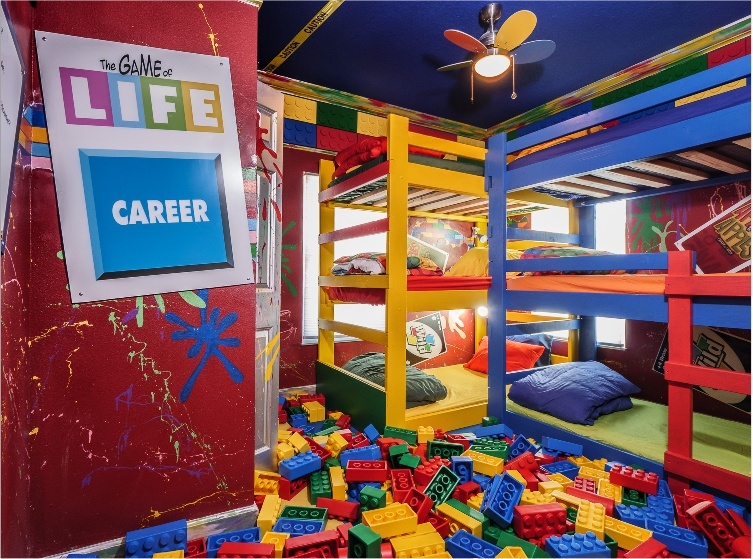 Aside from the splattering of larger-than-life game pieces and paint all over the walls, the floor is covered with giant colorful Legos(r) you can use to build towers, walls, castle forts...You name it, you dream it, you build it! Don't worry: The "bricks" are made from a soft foam--no harm to feet! 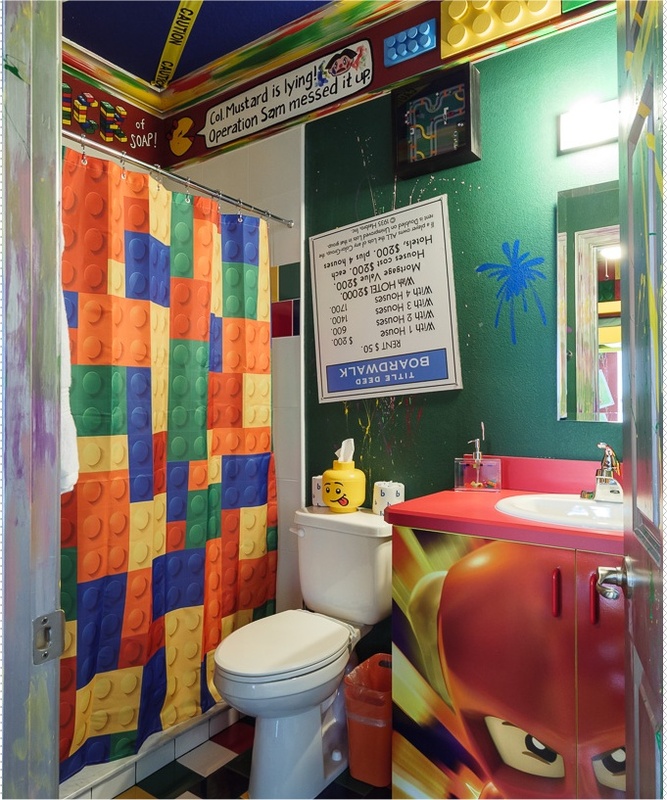 The Games Gone Wild bedroom has 6 comfortable twin beds (2 triple bunks), a flat screen TV with DirectTV and popular streaming apps...and, its own ensuite bathroom where the games continued to "go wild"...but, please-- don't add to the paint! We banned that after the wild party described above!